FedEx Corporation (NYSE: FDX) stock dropped nearly 6 percent Wednesday after the company reported below-consensus third-quarter earnings and cut its 2019 guidance. FedEx warned that the international trade war is negatively impacting global growth. “Slowing international macroeconomic conditions and weaker global trade growth trends continue, as seen in the year-over-year decline in our FedEx Express international revenue," executive vice president Alan B. Graf, Jr. said Tuesday. FedEx cut its full-year EPS guidance for a second time, dropping it to between $15.10 and $15.90 compared to consensus estimates of $15.97. Several analysts weighed in on the disappointing quarter since the report. Here’s a sampling of what they had to say. Bank of America analyst Ken Hoexter said the combination of trade headwinds, a guidance cut, more spending and no additional buybacks is not the news investors were hoping for. “Management plans to continue spending capital to refresh its network, noting no plans to cut capex (its buyback was less than $100 million, one-fifth our forecast level),” Hoexter wrote in a note. 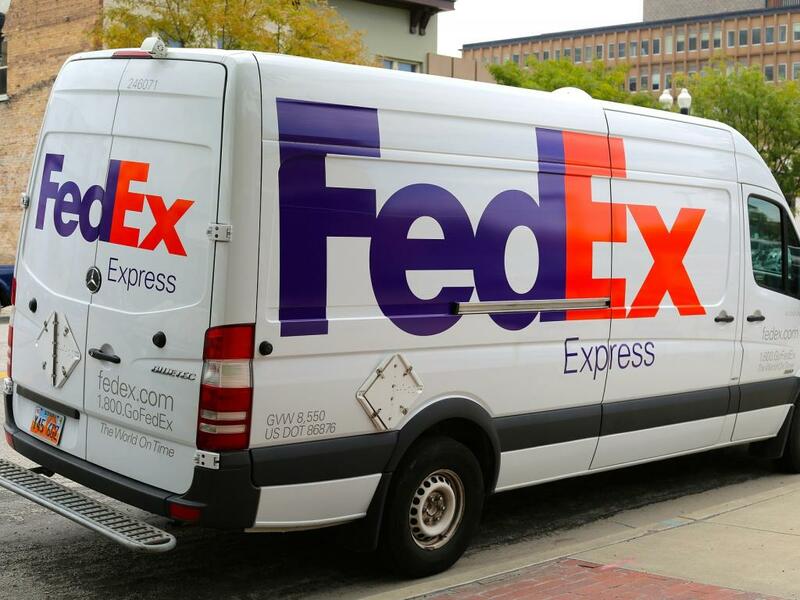 Oppenheimer analyst Scott Schneeberger said FedEx still has long-term opportunities for Express margin expansion, Ground operating income growth and solid EPS gains. “Although revenue/adjusted operating income grew +3%/+2% y/y, respectively, culprits in the quarter prompting underperformance included lower than expected Ground yield/revenue, elevated Ground expenses (purchased transportation and six-day-per-week operations launch), and lower than expected Express international and US yield/revenue (primarily higher growth in lower-yielding services and lower weight/shipment),” Schneeberger wrote. 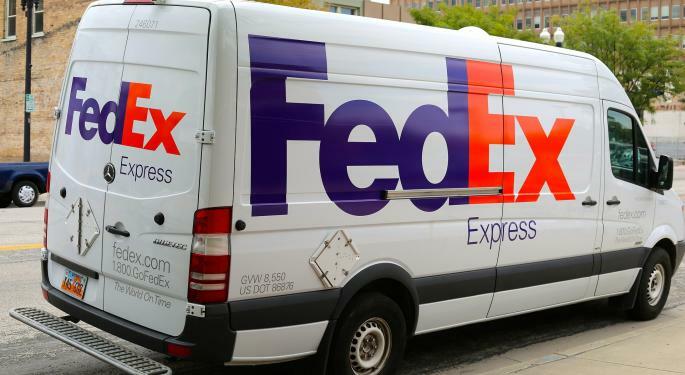 Morgan Stanley analyst Ravi Shanker said another earnings miss and guidance cut means analysts are still struggling to determine a normalized long-term earnings trajectory for FedEx. “The stock’s cheap valuation has drawn investor interest recently but we have warned not to judge the P/E, until we have a sense of a normalized E,” Shanker wrote. BMO Capital Markets analyst Fadi Chamoun said operating margins suffered from weaker demand, unfavorable revenue mix shifts and rising costs. “We believe that ongoing investments in automation and network infrastructure should deliver lower unit costs over time, while TNT integration continues to progress and remains a source of potential acceleration in revenue/earnings over the medium term,” Chamoun wrote. KeyBanc analyst Todd Fowler said ultimately, the stock’s valuation and the potential for cost cutting down the line should provide support for FedEx shares. “While we acknowledge execution has been elusive, expectations remain low and significant leverage exists if fundamentals stabilize or op initiatives come to fruition,” Fowler wrote. Morgan Stanley has an Equal-Weight rating and $148 target. Bank of America has a Neutral rating and $188 target. BMO has an Outperform rating and $215 target. KeyBanc has an Overweight rating and $251 target. 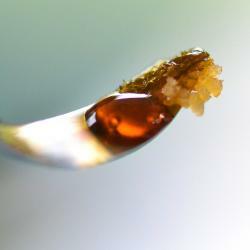 Oppenheimer has an Outperform rating and $192 target. FedEx shares traded around $171.40 at time of publication. United Parcel Services, Inc. (NYSE: UPS) was also down about 3 percent.